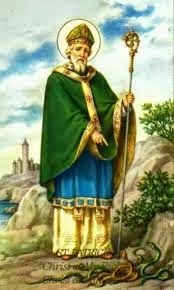 St Patrick, the patron saint of Ireland, wasn’t Irish, but English. He owes his life on the Emerald isle, and ultimately his sainthood, to pirates. Piracy and slavery had been practiced in Ireland back into pre-history. Icelandic Viking raiders attacked the island, carrying off women. (Modern DNA studies show that 60% of the maternal gene line comes from captured Celts.) In return, sea-going Irish chieftains captured slaves in the Nordic countries (giving rise to a gene strain of blond Celts), the rest of the British Isles, and even France. 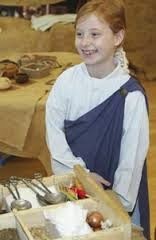 Patrick, or Patricius, was the son of a well-to-do Roman living in Britain, then Britannia. He had been born some time between 390 and 400. (Yes, that’s a three-digit year number.) His parents, while nominally Christian, were not devout by any means, and Patrick was an atheist. When he was 15, Irish pirates raided near his home, and he was captured, taken back to Ireland and sold as a slave. 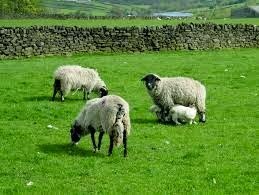 For the next six years, Patrick herded sheep, lived in a stone hovel, and enjoyed no rights at all. He was, understandably, miserable. To make his life more bearable, he turned to prayer, and came to believe that it was because of his previous disbelief that God had chosen for him to become a slave. His devotion to Christianity earned him the mocking name “Holy Boy” among the other slaves. Finally Patrick was visited with a dream. He dreamed that he should leave his master and find his way home. He walked through 185 miles of wilderness, found passage on a ship, and made it back home to his parents in Britain. Once there, he had another dream. This time, he dreamed that the people of Ireland were calling for him to bring them Christianity. Patrick used his family’s resources to get schooling to become a priest. When this was finished, he went back to Ireland. His task was daunting, and some say, has never really been completed. 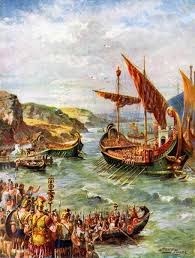 He faced a network of warring Irish kings, each controlling their own territory, often financed by piracy. The religion of Ireland was a form of Celtic paganism, presided over by Druidic priests and heavily ingrained into the culture. Though Patrick made inroads, it could not be truly said that he converted the Irish to Christianity. He merely started the process. Patrick died in about 460, and faded into obscurity. But years later, when Christianity was more popular on the island, he was recalled as the originator of the religion. In the Irish tradition of heroes, it was expected that Patrick should have some adventures or accomplishments. The story of chasing the snakes out of Ireland is a metaphor for overcoming paganism, since the snake was a symbol of re-birth for pagans. Followers also invented epic magic battles between Patrick and the Druids. Even the date of Patrick’s death, March 17th, was nothing more than a guess. For centuries, St Patrick’s Day was merely a church holiday, and was not celebrated any differently than any other saint’s day. But Irish immigrants to America, missing their homeland, began to celebrate more and more extravagantly. Parades, dances and parties were not in Patrick’s style, as he was a quiet man, much more given to quiet contemplation and prayer. In fact, Patrick would probably be horrified by all the drunkenness that now accompanies the supposed anniversary of his death. 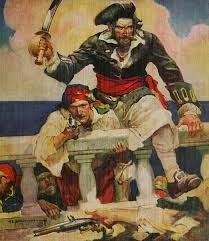 So, if you don’t want to drink to St. Patrick, drink to the pirates who captured him. 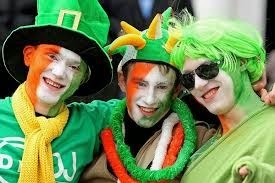 Without them Ireland wouldn’t have its patron saint, and we wouldn’t have green beer.